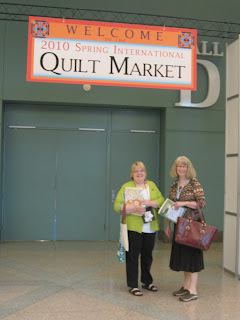 Finally, Minneapolis Quilt Market 2010 is here! Pam and Laurel are patiently waiting at the door of the show room. This market has the 3rd highest number of attendees on record. 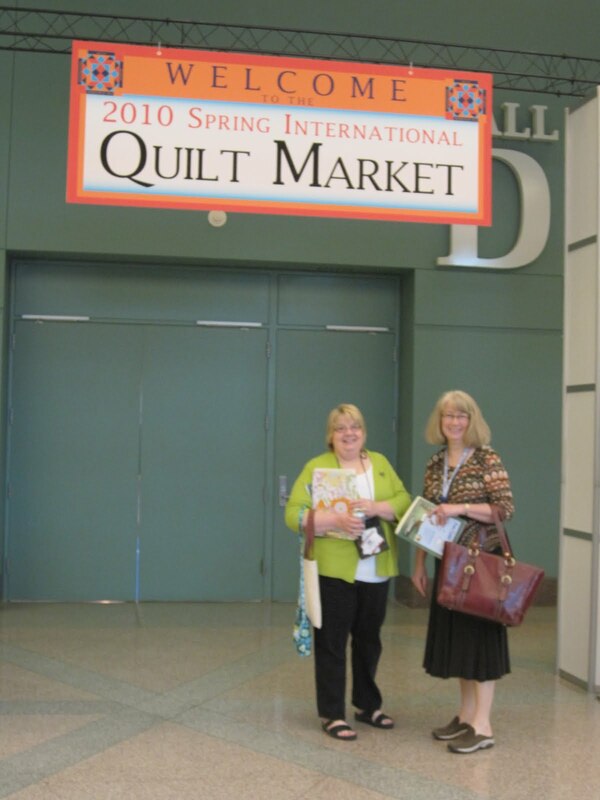 We were able to take classes from well known intructors and designers as well as from new. 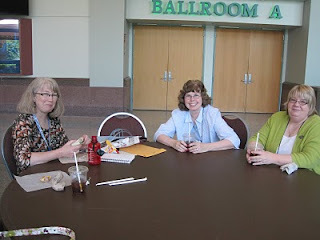 Can't wait to share what we learned! 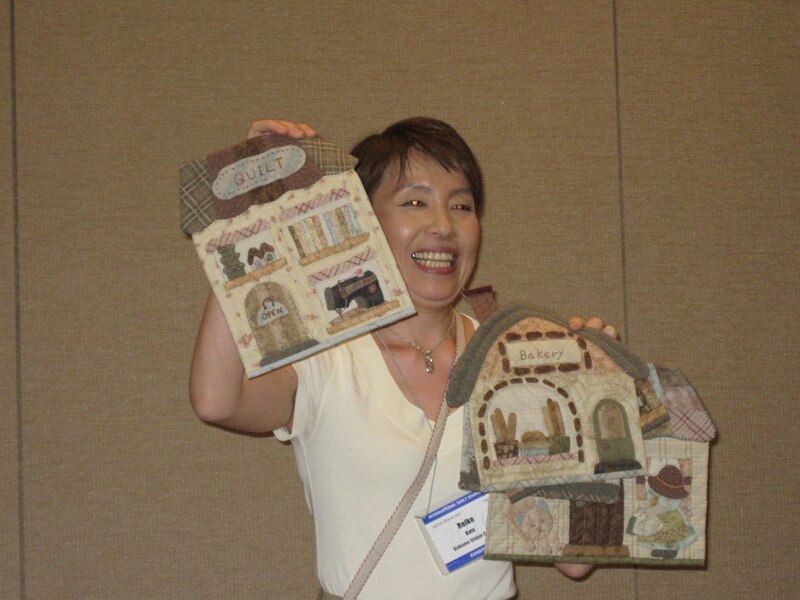 I enjoyed a class with Reiko Kato. What a lovely Japanese designer. Soft music played while her interpreter shared her words with us. I learned that taupe is more than a color- it is a Japanese lifestyle. Reiko's fabrics are incredible to work with. We have quite a collection of them at Bear Patch. I love the soft tones and textures. 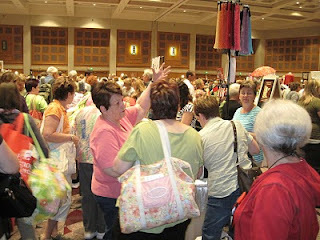 Sample Spree was crazy busy! 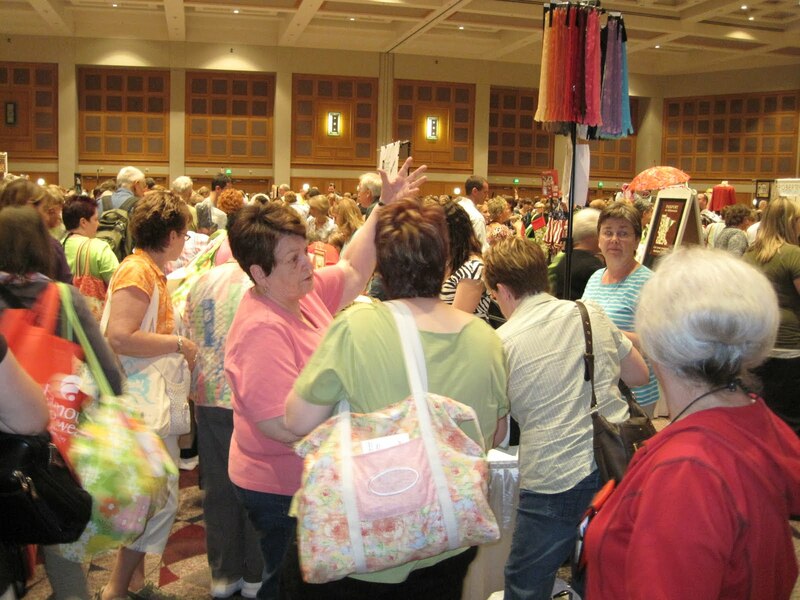 Do you see Terry Atkinson at her booth on the right hand side? Jeanne, Laurel and Pam taking a much needed break! Started our day at 8:30 am and got in bed at 1 am so I can get up at 5:30 am to begin again! Can't wait!